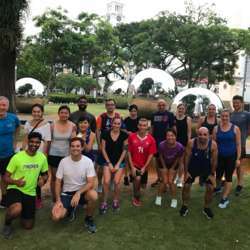 We will run to Esplanade, Helix Bridge, out and back to Marina Barrage, around Marina Bay and back to the start/finish point via the Merlion and Jubilee Bridge. Shorter and longer options are available. We go for dinner and drinks after the run - please join us.